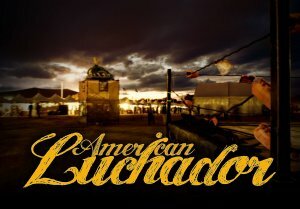 Your upcoming movie American Luchador - in a few words, what is it about? American Luchador is a journey of self-discovery. It's about looking back at the people and events of your past that have shaped you into the person you are and then taking control of your future. Basic question, why make a movie about Mexican lucha libre-wrestling, what do you find fascinating about the subject? Well, what attracted to me was the story. It's a story that everyone can relate to, whether you like wrestling or not. We've all been at that point in our life where we stop and wonder how we got where we are and where we're going from there. The wrestling aspect is a bonus for me. I have been a pro-wrestling fan since I was a kid and it's something that I now share with my own son. We love to go to live matches, so to be able to do something I love about another aspect of my life that I enjoy, it was a no-brainer! How did the project get off the ground in the first place? Mike Messier [Mike Messier interview - click here] posted on Facebook that he had a luchador script that he was looking for help with. I have some friends in the local indie-wrestling scene, so I offered my assistance. Things came together very quickly. We cast the two main roles and brought in cinematographer Chris Hunter all within a couple weeks! What can you tell us about your writer Mike Messier, and how did you two first hook up? I would say prior to American Luchador, Mike and I were acquaintances at best. The film community in Rhode Island is very close and supportive, so we had a lot of mutual friends, but had only really met in passing. Mike is a talented and brave filmmaker. He's very dedicated to his craft and a really good collaborator. He and I took his original short script, Dream of the Fire Wolf and have expanded and constructed a feature-length story with characters that have depth. 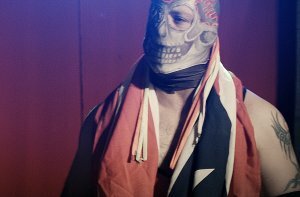 American Luchador will be a movie that cinema fans as well as wrestling fans will enjoy. Robert Rodriguez is one of my favorite directors and the Mexican aspect of American Luchador lends itself to the feel of a Rodriguez film. The story of the film is akin to A Christmas Carol, the main character Lobo Fuego is taken on a journey through his past. So, I guess if Robert Rodriguez directed a version of A Christmas Carol.... That would be close to what American Luchador will be! 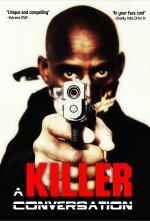 One thing that I�m very excited about is we have secured a Black Magic Cinema Camera for the production. We shot some scenes with it just after Thanksgiving and they look fantastic! Lucha libre as such suggests quite a few action scenes - so how do you plan to go about those, actually? There are several wrestling sequences in the movie. We have a few different strategies to film those. T Phoenix, who is the owner/promoter of the Renegade Wrestling Alliance, is an executive producer on American Luchador. Recently we filmed a couple of matches at their headquarters in Providence, RI. We'll also be filming matches at other venues during other live wrestling shows in the northeast. Another thing that I'm VERY excited about is we're going to be putting on our own show on March 2, 2014 at the Varnum Memorial Armory in East Greenwich, Rhode Island. It will be a combination of "movie matches" with our characters and we're booking actual matches with pro- wrestlers in the area. It should be very exciting! Anything you can tell us about your intended cast yet, and why exactly these people? And will you hire any real wrestlers to fill your ranks? There are two main characters in the film. Lobo Fuego and Educo. Educo is a kind of sage that guides Lobo Fuego on his journey of self-discovery. It was also the first role I cast. After reading the script, I immediately thought of Jose Gonsalves. Jose is a very talented actor that I had worked with before and I knew he could portray the right amount of wisdom and guidance that the role required. Jose is also natural athlete, having run track and field, played semi-pro football and been a boxer, so I knew he could handle the physicality of the role as well. And on a more personal note, Jose just won the Best Actor award at the 2013 Shawna Shea Indie Film Fest for his performance in a film that I wrote and directed, called Love and Laundry Soap. For the role of Lobo Fuego, I wanted to cast a wrestler. I could've cast an actor to say the words, but I thought it would add authenticity to the project to have someone who understood the emotions behind the words, because he actually lived them. I reached out to some promoters to see if they knew of any wrestlers that had any acting background. All pro-wrestlers are performers to a degree, but I wanted someone with some formal acting experience. JT Dunn was recommended to me. JT is a young, rising star on the independent wrestling scene. I had seen him wrestle a few times and was impressed with his charisma in the ring. When I reached out to him, he informed me he had taken drama throughout high school. After our first meeting, I was sold on JT. He had impressed me with how much of the script he had digested. He was trained in the lucha libre style. JT could relate Lobo Fuego's story to his own life, so he understood what Lobo was feeling and why. We've also been lucky enough to cast wrestling legend and WWE Hall of Famer Jimmy "Boogie Woogie Man" Valiant in the role of Lobo Fuego's early teacher. We're taking a trip down to Virginia to shoot at Jimmy's training facility, called Boogie's Wrestling Camp. Again, adding to that authenticity that I'm striving for. As far as I know, your film is still in its fundraising stages as we speak - so what can you tell us about your fundraising efforts? We are exploring a few options for fundraising. We filmed a teaser and have included it as part of an IndieGoGo crowd-sourcing campaign. There are various perks for different levels of donation. Crowd-sourcing is very tough, you're competing with so many other projects. We're hoping that we can build on our wrestling fan base and progress from there. Once your funds are raised, how do you plan to proceed - and any idea when and where the film will be released onto the general public yet (and I do know it's probably waaay too early to ask)? At this point, we�ve able to film some parts of the script, but principal photography won�t begin until after our funds our raised. There�s a long list of things that we need the capital for, including ordering custom costumes for Lobo Fuego and Educo. We�re exploring a few different options for release and distribution; including DVD/Blu-Ray, television, internet based and traditional film festivals. In today�s market, there are lots of ways to get your film seen. 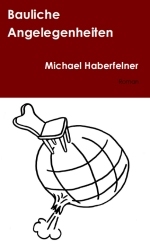 We don�t want to rule anything out yet. Any future projects beyond American Luchador you'd like to share? There's nothing scheduled yet beyond American Luchador. It's taking up quite a bit of my time right now. However, I have a horror/thriller script that I wrote called Doll Island that I would love to direct next. The script found its way to a very famous rock singer, who has recently been doing some acting. He's very interested in one of the parts in Doll Island. My hope is that American Luchador achieves some success that I can then roll into Doll Island. I started as a comic book writer. I did that for a few years, traveling to different shows and conventions around the country. Then in 2009, I entered a horror screenwriting contest. I didn't win, but my screenplay Quonset was one of the finalists. That gave me the confidence to pursue filmmaking. Following that, I directed a teen anti-drunk driving PSA for South County Hospital. Since then, I've worked on all sorts of projects. I never went to film school, so I've learned by doing. 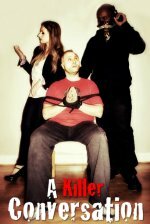 I've done the last three 48 Hour Film Projects and various other online competitions. I also read a lot of filmmaking books. I try to learn from each project and improve for the next one. 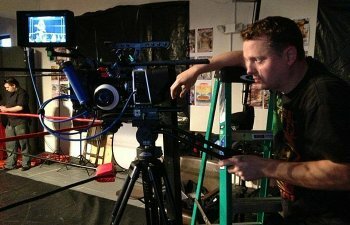 What can you tell us about your filmwork prior to American Luchador, and your evolution as a filmmaker? My first actual film experience was as an extra in the 2008 Mathew McConaughey film, We Are Marshall. At the time I was living and working as a firefighter in Atlanta, Georgia. The producers of the film were recruiting actual firefighters to portray the firefighters in the crash scene of the movie. I worked one very long night on the film. It was a lot of fun, I got to meet Mathew McConaughey and the director McG. Since then, I've directed 8 projects of my own, produced another for a friend and been an extra in a few other local productions. For such a small state, Rhode Island has a very active and supportive film community. I've worked with a lot of talented people and made some really good friends along the way. My film Love and Laundry Soap, which was released this past spring, has been shown at a couple different film festivals and won a Motiff Film Award for Best Original Music. The music in the film was written and performed by a very talented singer/song writer named Brittany Rebola. As I mentioned earlier, Jose Gonsalves recently won a Best Actor award for his performance in Love and Laundry Soap. 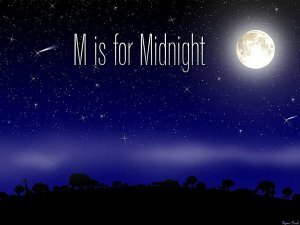 My last film prior to American Luchador, called M is for Midnight, just got optioned by a production company to be included in a horror/thriller DVD/Blu-Ray boxed set for national distribution. So, I'm pretty excited about that. I'm an actor's director. I love to work with my actors and break down the scenes. When I rehearse, I generally start with just talking. We don't open the scripts at all, we just sit and talk about the scene, what it's about, what the characters are doing. Then once we get a good feeling, we open the scripts and go through the dialogue. When we get on set, I like to stay in close contact with my DP to make sure we're on the same page and then we go to work. I tend to work fast. I don't do a lot of takes. I think you can work a scene too much at times, especially with younger and less experienced actors. Sometimes the best takes are the first couple, so unless there's something specific that I don't think we're getting, I like to keep things moving. I think of filmmaking as a team effort and I try to listen to everyone's thoughts and opinions. The challenge is that sometimes people have good ideas but it just doesn't fit with the direction of my vision. That's a hard lesson to learn, to learn to stick to your guns and say no sometimes. There are so many filmmakers that I appreciate. I mentioned Robert Rodriguez earlier, his book Rebel Without a Crew, changed my life. To read about how he made El Mariachi by himself. No crew, very little money or equipment. To read where he came from and see what he's become, it gave me the confidence that I could do it too. Robert has a presentation called the 10 Minute Film School and in it he talks about things like using the resources you have. Write to the strengths of the actors you have. Look at what kind of locations you have access to. Create to fit your environment. That's definitely a lesson I have used. One of my other favorite filmmakers is Sam Raimi. When I was a teenager, in the early days of VCRs, my friends and I would walk up to the local video store and rent every horror movie on the shelf. Evil Dead was one of my favorites! It scared the hell out of me! Later in life, as an adult, I read Bruce Campbell's autobiography, If Chins Could Kill and learned about how Evil Dead was made by the then early 20's Raimi, Campbell and crew. Just like Robert Rodgriguez, to see where Raimi began and years later he's directing Spider-Man. But it's those stories filmmakers who inspire me. On a more personal level, there's a young filmmaker in Rhode Island, who I sort of met by chance. Brian Bouyea is 21 years old, he and his friends have been running around with video cameras since they were kids. 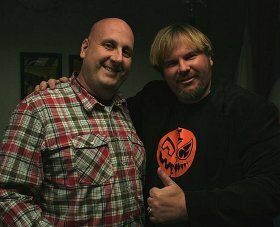 Brian is now working on his 5th feature film and I couldn't tell you how many shorts he's also done. I've helped out on a couple of his projects and love to spend time working with him. His youth and enthusiasm definitely inspire me to keep pushing forward. I wish I had been bitten by the filmmaking bug when I was a teenager like he was! No telling what I'd be doing now! Wow! That's a tough question. There are so many movies I love, but my all time favorite movie is still Star Wars. I'll never forget being 6 years old in the summer of 1977 and sitting in the darkness of the Starcase Theater. The screen seemed gigantic. I was absolutely mesmerized by the images on the screen. The space ships, the characters, the creatures, it was an amazing experience! The only other time, I've felt something close to that during a movie was in 2001 when Sam Raimi's Spider-Man came out. Spider-man had been my favorite comic book character since I was 8 years old. As a kid, I went through my parent's divorce, moving from Rhode Island to Florida and back to Rhode Island, junior high, puberty and everything else a kid goes through, but I always had a friend in Peter Parker. Whatever I went through or feeling, Peter went through it in an issue somewhere. So, in 2001, to see a character that had been such a huge part of my life, come alive on the big screen and done so well, it brought me back to that 6 year old in the Starcase Theater. Ha! There are definitely plenty of bad movies out there! Whenever I see a movie, no matter how bad it is, I try to find something positive. Maybe some nice cinematography, maybe a good performance, maybe a cool effect... Very rarely can I find NOTHING to be positive about. But sometimes you watch something and it's very obvious that the filmmakers just don't care about what they're doing; actors just phoning in a performance or a director taking shortcuts, and that bothers me. I may not like a movie, but if it looks like the filmmakers put effort in and loved what they were doing, then I can respect it. We have a website, www.americanluchador.com, a Facebook www.Facebook.com/americanluchador, an IndieGoGo www.indiegogo.com/projects/american-luchador and a Twitter @AmLuchador. I try to update everything as often as possible with the latest news and pictures. I want to give a quick public thank you to my fianc�e Erica Tarbox. I addition to being a very loving and supportive partner in my life, she's also my partner in film. She began as a PA on my first film, The Call and has worked as a PA, production manager or associate producer on almost every one of my projects. And when the actress I had originally cast in Love and Laundry Soap had some health problems and had to drop out of the project, Erica stepped in, took over the role and did a tremendous job! I owe all of my success to her help and support over the years. Thank you for the opportunity to talk about American Luchador and my other work!